Moving abroad? How to escape English taxation? It’s pretty grey outside at this time of year in Britain. 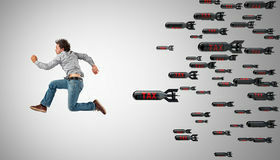 What’s more, the new tax year is approaching, and with it another round of taxes depleting your coffers. It’s not a terribly appealing combination, but there’s one simple way to kill both birds with one stone; get expat financial advice, escape English taxation and move abroad. UK taxes are relatively high, and as an expat, in another country, you could find yourself shelling out much less, while still being able to rely on the great public services that we Brits are used to. What’s more, lots of places with lower taxes also offer higher temperatures and more pleasant climates; not that it’s hard when you’re competing with the not-so-great British winter time. Thinking of moving abroad? Mexico, for instance, offers taxes of just 9.5% for someone on an average wage. Despite that it gives you an opportunity to escape English taxation, it also gives you more cash in your pocket to spend on the things that matter to you, whether that’s fun holidays, superb meals or just sensible savings and investments. 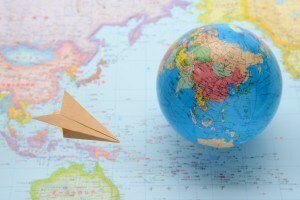 Of course, moving across the globe is much easier said than done; especially if you have family tying you to this country or a job that’s tough to transfer without speaking the language – but none of these problems are insurmountable, sometimes it’s important to be a bit impulsive and do things that are out of character – maybe moving abroad is one of those? After all, it isn’t an irreversible decision. You can always change your mind and move back to the UK – or on to somewhere else. If you’re thinking seriously of moving outside of the UK it’s important to ensure that all of your finances are in order, and that includes sorting out a UK pension transfer if it’s relevant to you; get in touch with a financial advisor to work out how best to manage your finances as an expat.